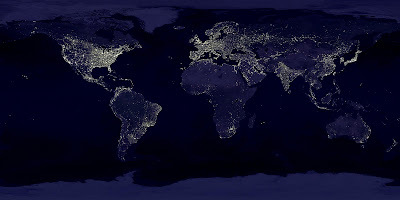 This is the famous satellite map of "world at night" pasted together by a few shots by NASA. It reflects the population density and economic development (manifested more specifically energy/electricity availability). 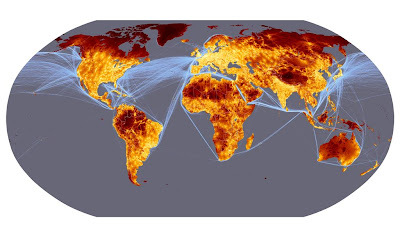 It is interesting to compare it with the traffic linkage maps, (via Thomas Barnett) which is colored by the number of hours it takes to travel from some major EU city to that point on earth. 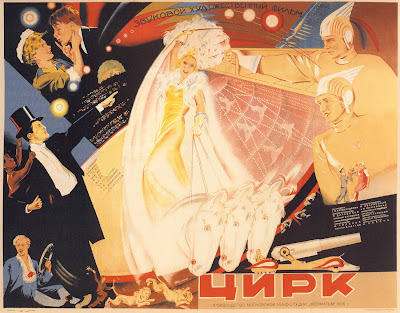 The Soviet Movie Circus (1936) has portrayed a dream, an ideal for a Utopia. Unfortunately, it was only more than half a century later that the world had been convinced that top down wills often lead us astray, and we end up far away from the original objective. The human world is just too complex to be engineered that way. 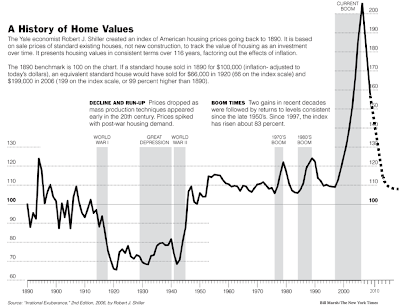 We have since learned that changes need to be bottom up, and the path appraoched step by step, starting from the most fundamental principles. To January 20th, USA, where the 1936 Soviet dream re-emerged (or got one step closer, though still far from what we can call "coming true") on the other side of the earth.